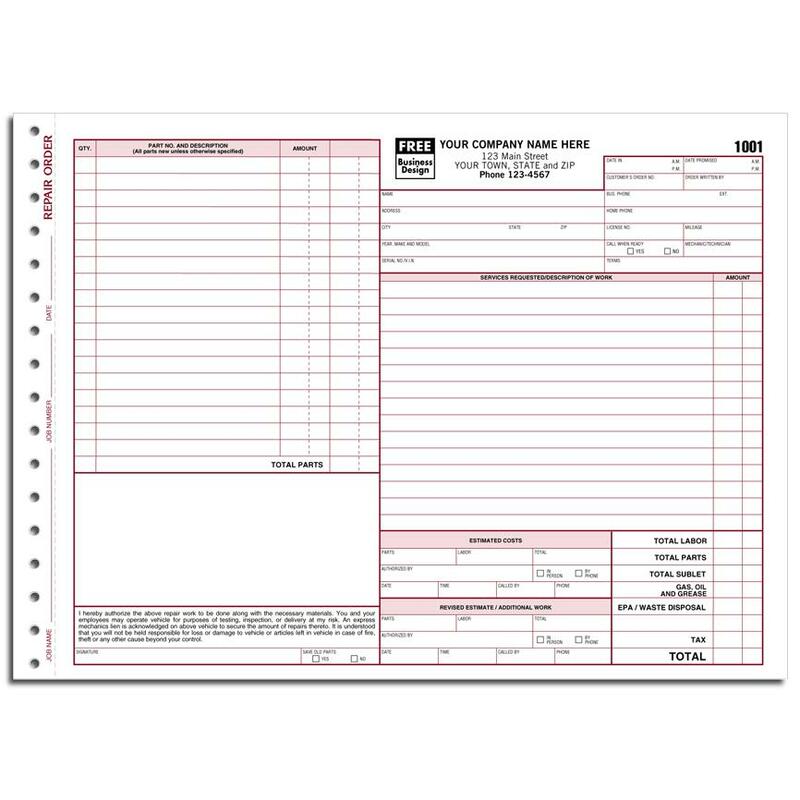 Order oil change invoice for your auto service shop and make sure you are keeping proper records. Many automotive service stations use oil change as a promotional strategy to get customers through their doors. Offer a low price for your oil change service and it will increase interest in your business. You will need oil change invoices to also make sure that your customers take your business seriously and as a professional organization. 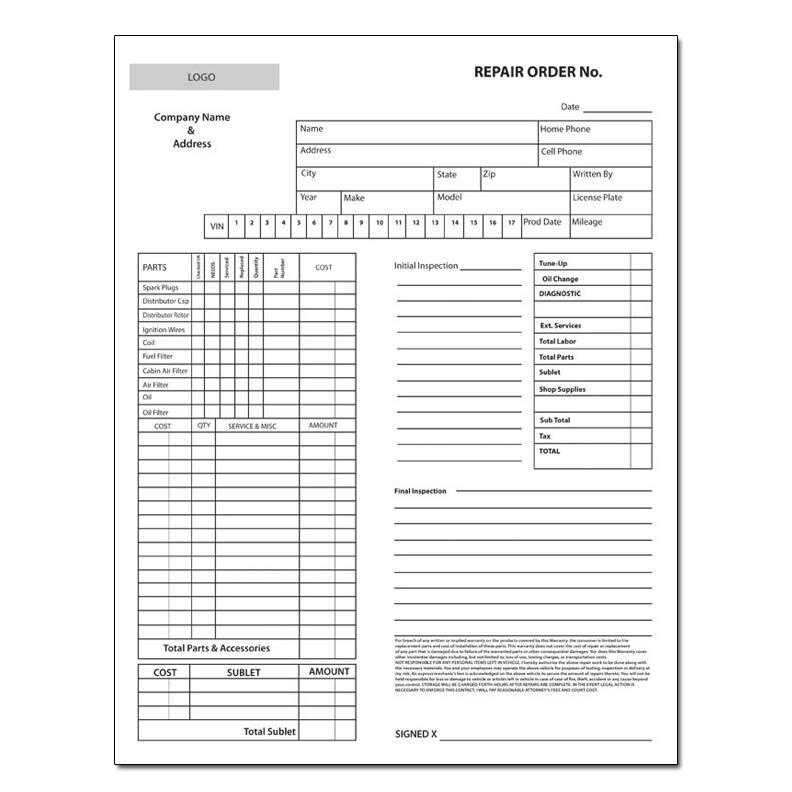 You can use this template that we have created or we can create a custom carbonless ncr oil change form for you. We print any number of parts; 2 parts, 3 parts, 4 parts or 5 parts. We can also make your form any size you like. The most common size is 8.5" x 11". Motorist are well aware that a regular oil change is needed for their vehicle to function properly over a long period of time. 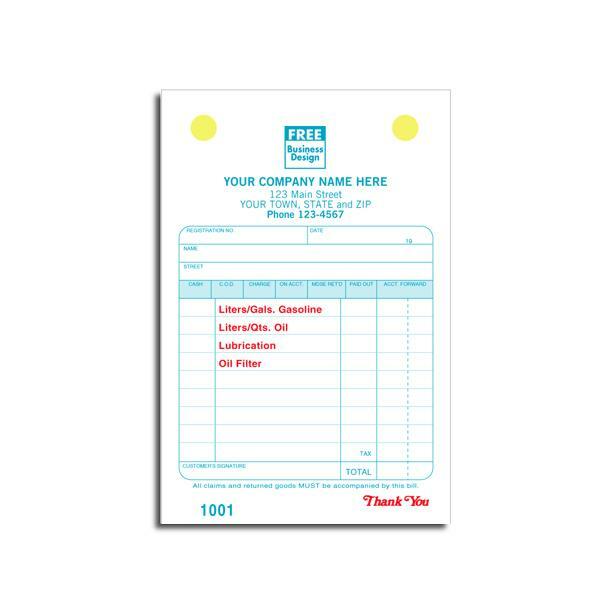 If you own a oil service station you should have invoices that have your company information printed on them in a professional way. This will maintain trust in your company and will persuade customers to come back for a regular oil change.